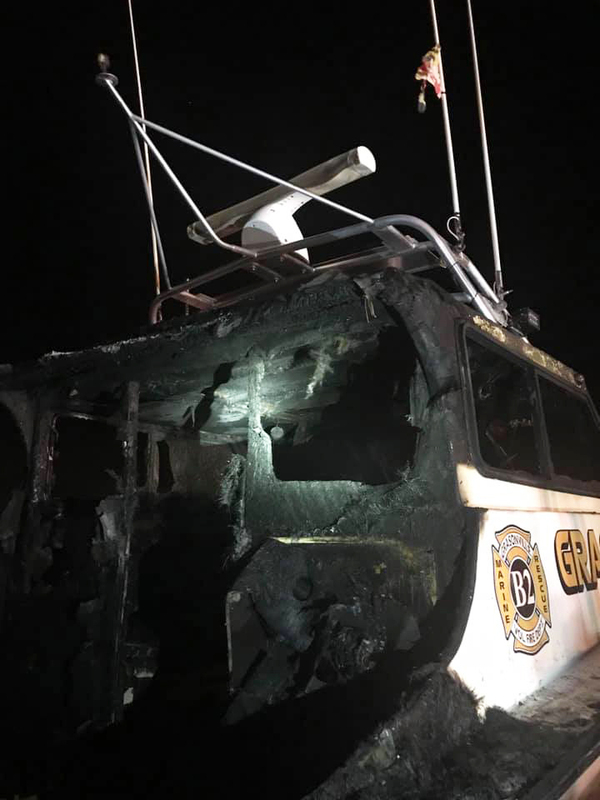 On the evening of December 4, Grasonville Volunteer Fire Department units and surrounding companies were dispatched to a boat fire in front of Annie's Restaurant in Kent Narrows. Chief 2 arrived on location, with fire visible from a boat on a boat lift. It was determined that Fire Boat 2, a Grasonville fire boat, was the vessel on fire. According to the Grasonville Vol. Fire Department, the crew of Engine 25 quickly deployed two hand lines to get a knock on the fire. Despite the quick response and quick knock on the fire, Fire Boat 2 suffered severe damage. 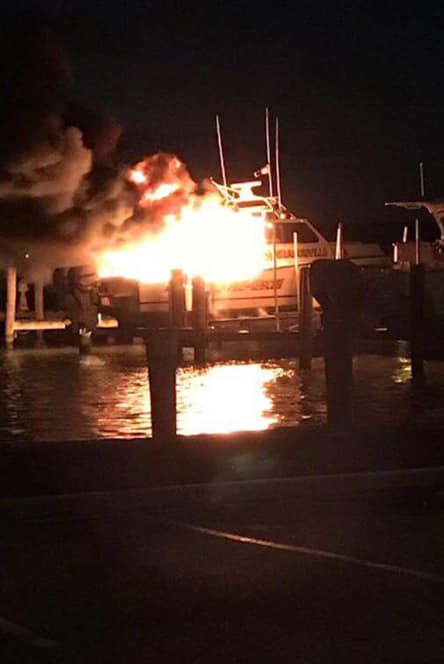 The State Fire Marshal was called to the scene to investigate, with the preliminary cause of the fire appearing to be in the shoreline plug on the fireboat. Stay tuned for updates. The Grasonville Vol. Fire Dept. says, "Our department will keep you updated as we work to restore this valuable piece of equipment to our community."